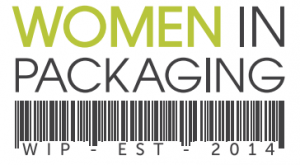 Women In Packaging UK (WIP UK) are hosting a panel debate on the gender diversity challenge in the UK packaging and labelling sector at Easyfairs Packaging Innovations 2019. The two-day event brings together more than 300 industry-leading packaging suppliers with a broad mixture of brands and packaging experts. On February 27, Jo Stephenson, co founder of WIP UK will host a panel of experts at the Industry Forum Stage (main stage), NEC Birmingham at 2pm. The panel includes the WIP UK Co Founder, Debbie Waldron Hoines, Stephen Shortland Managing Director of New Vision Packaging, Sarah Harriman, Marketing Manager at Pulse Roll Label Products and Emma Wise, Sales and Marketing Manager at RPC Bebo.